A pair of Iranian physicists is facing the retraction of one of their papers after editors found out some of the work was plagiarized from two textbooks and an encyclopedia. – E. Fjær, R.M. Holt, A.M. Raaen, P. Risnes, P. Horsrud, Petroleum Related Rock Mechanics, second edition (Elsevier, 2008). Consequently, this paper has been retracted by the European Physical Journal Plus and should not be cited or referred to in the future. The 2011 paper has yet to be cited, according to Thomson Scientific’s Web of Knowledge. …we do not agree with the retraction. Because we used some sentences and change it, so the sentences are not the same. It can be corrected by add some needed references. 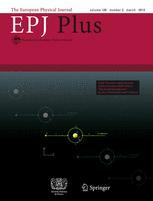 If you’re wondering, “Plus” is one of a number of European Physical Journal titles. The article does seem to be available still, and the pdf is not watermarked retracted. I think there is quite a bit more that came from ref 23, but where it wasn’t referenced. If interested in the pdf, just contact me. I still could download it and so have a copy. There is a journal called PNAS “Plus” too!! Why retractions are so-o-o-o swift for authors from China and/or Iran, but impossible when plagiarists are from the University of Toronto, for example?